Shuttle tankers are key enablers for oil production growth and solid newbuilding activity now indicates a market shift. 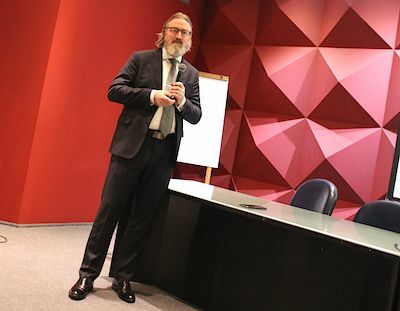 On April 10, 2019, DNV GL organized the third seminar on the important role of shuttle tankers to the oil and gas industry. 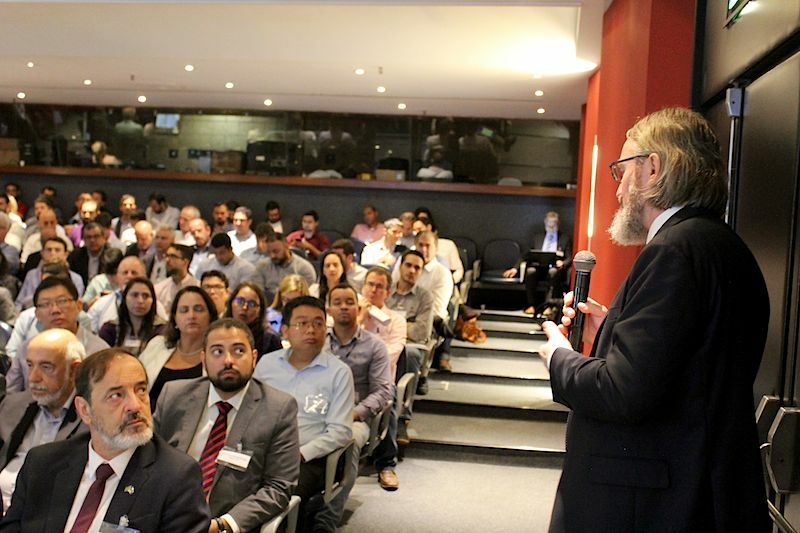 The event took place in Botafogo, Rio de Janeiro, and was supported by NBCC and Innovation Norway. DNV GL has the largest number of tankers classified in the world, and promotes the yearly seminar to share trends and provide stakeholders with a forum for discussion and debate of trends and developments. Several DNV GL speakers shared their insights and expertise on the shuttle tanker market. In the first session, DNV GL Business Director Tankers, Ms. Catrine Vestereng, presented a glance at DNV GL and the shuttle tankers scenario. «Despite some very difficult years in the tanker market, the shuttle tankers are living their own lives, with high activity in Brazil and in the North Sea. The fleet development has been increasing and 17 new shuttle tankers will be delivered until 2021, many for the Brazilian market and the majority with DP capabilities», she said. The average age of shuttle tankers is 10,6 years, and according to Clarkson´s estimates, 22 new fields are expected to require shuttle tankers, mainly in Brazil. «On top of this, there are many old vessels that need to be replaced», Ms. Vestereng said. DNV GL is the leading class, and according to the speaker, DNV GL is currently moving class from rigid and manual processes towards more flexibility and automation. «These are times of transformation for the maritime industry, and we see tectonic shits within maritime on three fronts right now: Geopolitical and financial uncertainties have hit the tanker market, regulations on sustainable operations, like the 2020 Sulphur cap, are affecting us, and of course the impact of new technologies on shipping industries. 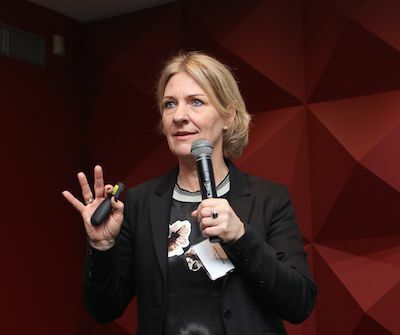 Digitalization offers a range of opportunities to modernize classification», Ms. Vestereng said. She gave several examples on what is going on, like pilot projects on digital class, simulations, E-certificates, smart survey booking and remote technologies and surveys. «In a digital future, class will rely more on technology and data than today, but it will depend on data quality assurance. The transformation will be gradual, as this is a conservative industry», Ms. Vestereng said. 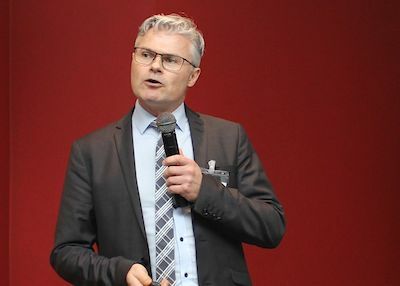 Olav Tveit, Ship type expert – Oil & Chemical Tankers at DNV GL, talked about the technical and regulatory developments on shuttle tankers in Brazil. There are few IMO requirements specific to shuttle tankers, but class rules contain requirements too, he explained. Mr. Tveit outlined guidelines on the Norwegian Continental shelf , the NOROG 140, and compared them to guidelines and requirements in the Brazilian offshore industry. The presentation featured a detailed comparison of the differences in specifications. «Wind speed requirements and thruster capacity are among the main differences», he said. DNV GL has also developed standards on bow loading and centralized cargo operation. Olav Tveit presented relevant OCIMF standards and guidelines and talked about compliance options when the 0,5 percent sulphur cap will kick in on January 1, 2020, and how future emission caps are driving ship design. In a second session, Dynamic Positioning was addressed. Aleks Karlsen, Senior Principal Specialist – DP Systems at DNV GL, talked about DNV GL Seaskill concept, about training and certification of DP operators and DP verification in a digital transformation, the DNV GL D-Class project. He presented the DNV GL certification scheme for DP operators and DP training centers, to the seminar, crucial elements in the training process and the role of simulators. 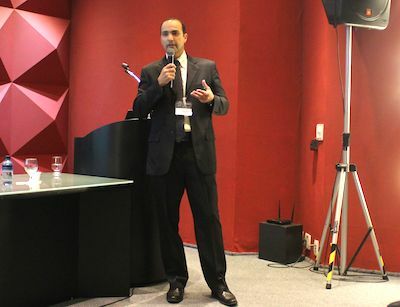 Eduardo Pillar, also representing DNV GL, gave a presentation on Dynamic Barrier Management and available tools. In Session 3, different aspects of Dynamic Positioning was addressed by Kongsberg. Operational experiences and design developments were addressed from the operators´perspective. Speakers representing Knutsen and Teekay, the two biggest owners of tankers globally, participated in this session.